Heat 10-inch nonstick skillet over medium heat; add cardamom pods. Cook 5 minutes, stirring often. Remove from heat; cool slightly. Press each pod between your thumb and forefinger to crack open; discard husks and reserve seeds. Add remaining ingredients to skillet. Cook over medium heat 2 to 3 minutes, stirring frequently, until cumin seeds turn brown and mixture is very fragrant. Transfer to glass dish; cool. 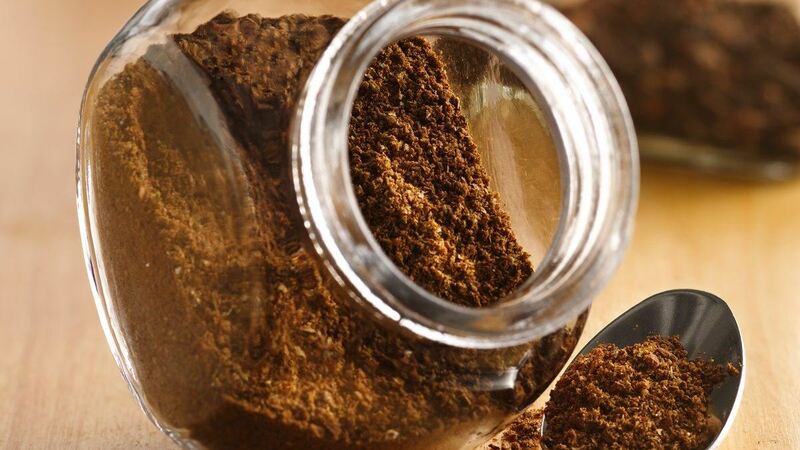 In spice grinder or clean coffee grinder, place spice mixture and reserved cardamom seeds. Grind 30 to 40 seconds or until spices are finely ground. Store in tightly sealed jar away from heat and light up to 3 months.